With the new episodes of The Walking Dead right around the corner, a sneak peek of the first 3 minutes of episode 8 titled “Nebraska” has been released. Episode 7 left off with Shane opening the barn doors and releasing the horde of walkers, and with no other choice, the group had to put them down. Unfortunately this was no happy ending. Sophia, who the group was looking for pretty much the whole first half of the season, walks out of the barn after the shootout…Zombified. 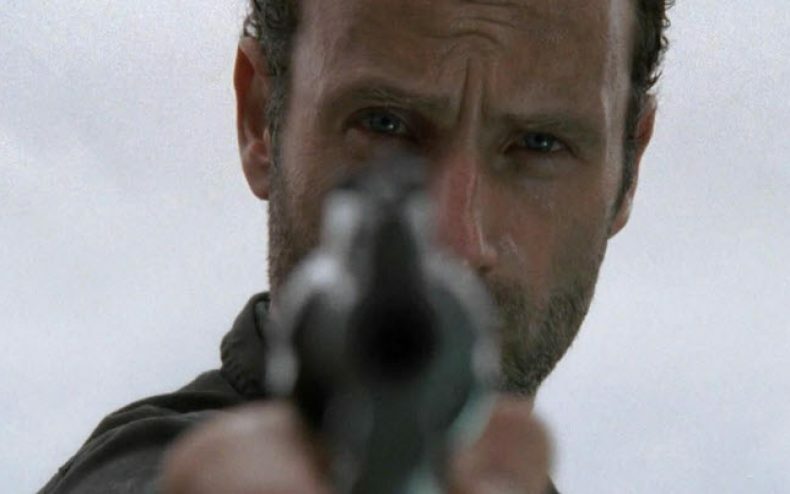 In the last few seconds of the episode, Rick walks up to Sophia, lifts up his gun, and does what no one else in the group would do. Episode 8 picks up right where Episode 7 left off. Hershel is not happy with what happened and wants the group to leave immediately. The sneak peak shows how distraught and horrified everyone is after the zombie massacre at the barn. Beth, who happens to be Hershel’s youngest daughter, runs over to the zombie that was once her stepmother, but is shaken up when the zombie comes to life and grabs her. While everyone scatters around and tries to free Beth, Andrea takes a picaxe and ends the ordeal with a swift connection to the head. Finally the group, along with Hershel and his family, walks back to the house where the arguments continue and where the rising tensions can be witnessed. Will the group leave? Tune in February 12th to find out what will happen to the survivors when episode 8 of The Walking Dead, “Nebraska”, airs on AMC.